We're very focused on business on the wiki. Which is great, because stuff gets done. But it's also a shame, because some events and achievements deserve a little more attention than a passing position on the Recent Changes list. We've got the news section on the main page, but that typically just covers the really big stories, and only briefly at that. There's always something happening on the site or in the greater TES community which is worth taking some time to acknowledge. So that's what Revision History is going to do. My regret is that I can't possibly give everyone their due, and for that, I apologize. There's just too much happening. I mean, two decades later, and we're still touching up Arena content. Whether you're welcoming newcomers, answering questions, bringing the iron fist of justice to some unruly spam bots, or just hanging out in the forums, you all continue to astound me every day. I really want to keep track of this stuff just so I can continue to learn more about this amazing series and community. If you have something to correct or something you want to add, please comment. You can also drop me an email or go to my talk page if you have a suggestion. Popular new TES sites, ESO events, a Youtube channel you like, a PSA, your favorite flipping fan fiction, I'll give anything TES-related some consideration. I'm especially interested in new developments related to the UESP itself, though, because if we don't talk about it, no one will. There's a lot of ground to cover for this initial entry, so let's get to it! With Patch 1.6 for ESO now released, it seems many PvPers are struggling to determine how to best take advantage of the changes to the skills (which I suppose is the point). I thought videos from Deltia's Gaming helped give me a decent handle on the substantial changes and what they would mean for the game. UespLog AddOn needs some tweaking in light of Patch 1.6. Any PC players using it, please report any problems on the article's talk page, and thank you so much for continuing to help the UESP gather data from the game. It's all way over my head, but I hope others are able to put it to good use. This patch has changed a ton; some are saying it's like a whole new game in many respects. We'll be struggling to catch up to it for a while. But then, we were struggling to catch up before the patch. Please be patient, and help out if you can! The recent addition to the ESO Loremaster's Archive, A Loathsome Civilization, left me giddy. I've seen some references to the Sload before which make me suspect ZoS is building up to a Sload storyline, so just the fact that they decided to focus on the slugmen now sent me off speculating like crazy. On top of that, Doyen Legoless of the United Explorers of Scholarly Pursuits posed another damn good question during a brief moment where he wasn't adding some new ESO-related thing to the site. I don't know where he finds the time. I don't think he sleeps. Maybe it's an Irish thing. I have to say that "Bertille Montrose" really had the best question, though. 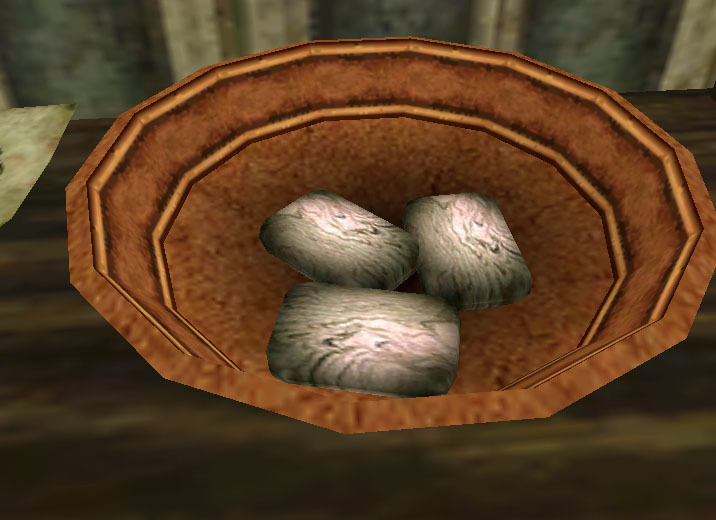 Sload Soap was this weird alchemy ingredient which has been making Morrowind fans do double takes for years. "What, wait the hell is in this basket? Sload ... soap?" It's wonderful to have such a disgusting clarification on the nature of the stuff. The UESP sidebar has gotten some work, but I think it still needs some more. It seems at this point like we should just lump all DLCs into "Official Add-Ons" links, as the current distinctions seem incongruous. Share your thoughts on the Community Portal (even though I've somehow neglected to do so). IceFireWarden recently shared his incisive summary of Jel, the mysterious grunty-squeaky language of the Argonians which has long been under-documented on the UESP. I wish we knew more about it. IFW's translation for "Xhuth" is a little daring, but reading between the lines, it seems to be what the author of the novels intended. Anyways, many thanks! I'm a nutso lore maniac, if you hadn't guessed, and learning something new about TES lore is always fun to me. Recently, Lady Freyja, administrator of the French wiki Le Grande Bibliothèque de Tamriel, has pointed out a few fascinating lore nuggets, such as an expanded French version of the Monomyth from Morrowind (found here). She has also been adding some bits of Skyrim lore which can only be found in the official Prima guide. Meanwhile, Archivist Jimeee has been really living up to the title, and is cataloging ESO books faster than I can read them! 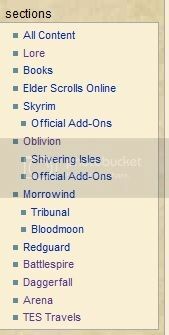 Lore:Skyrim is due to be taken off the main page on March 25. Ideally, we should have another article successfully nominated and ready to go as our new Featured Article by then. ESO articles would be great right now, but feel free to nominate any UESP page you find really impressive! New nominations for Featured Images would also be great, though we've got a bit more time to work with there. K, I'ma go watch Classic Elder Scrolls.